Back in 2014 the first annual Ameripolitan Music Awards was held in Austin, featuring winners chosen by fans and a cavalcade of independent roots artists. Bonded together by this momentous occasion, fans and performers of honky tonk, tockabilly, Western swing and outlaw music inaugurated a new genre that night — and the tradition continues in 2015. 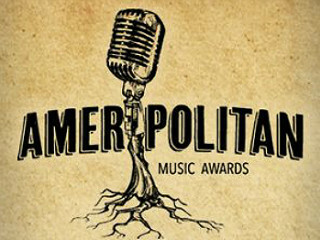 The 2nd Annual Ameripolitan Music Awards will go down on Februry 17 at the Paramount Theatre. The performance line-up is a veritable "who's who" of Ameripolitan music, with James Hand, The Derailers, Amber Digby, Paul Pigat, Jason D. Williams, Elana James, The Western Swing Authority, Jason Roberts with The Cactus Blossoms and Sarah Gayle Meech slated to perform. Additional artists include Ray Benson, Earl Poole Ball, Redd Volkaert, Dale Watson and more.